Paloma Faith set the bar pretty high for her newest studio album that’s going to be released next month. 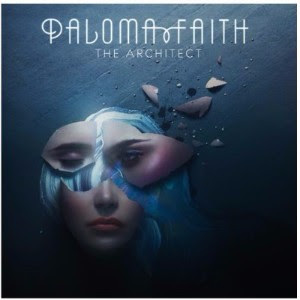 She just announced that her long-awaited fourth album, The Architect, will be out on November 17. Along with the announcement of her new album, she released a video for her first single “Crybaby” from the album. The video directed by Thomas James was filmed in Ukraine. You can watch a dramatic interpretation of a world of communism and conformity. It seems to be shedding light on the deprivation of basic human rights in a region where people are forced to live without freedom. Her new music was highly anticipated and the release of her new album is following the huge success of her last record, A Perfect Contradiction, which spent 29 weeks in the Top 10 Albums Chart and 66 weeks in the Top 40. “Only Love Can Hurt Like This” was Paloma’s top single where she sold over half a million copies and 55 million streams on Spotify. Only a month away until her newest album is going to be released, but fans might want to keep their eyes peeled for another single before the release of The Architect on November 17th.